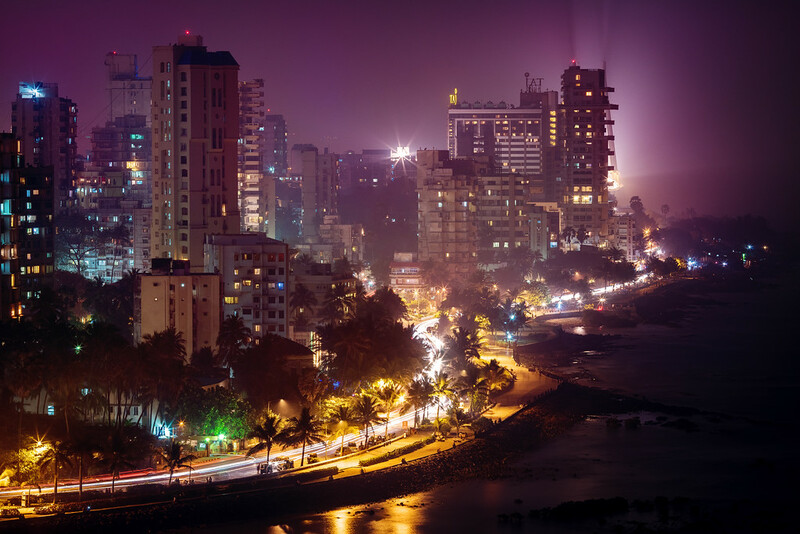 PAUL BELLINGER PHOTOGRAPHY: BILLINGS MT PHOTOGRAPHER – BANDRA NIGHTS! I have some very cool family in Mumbai! 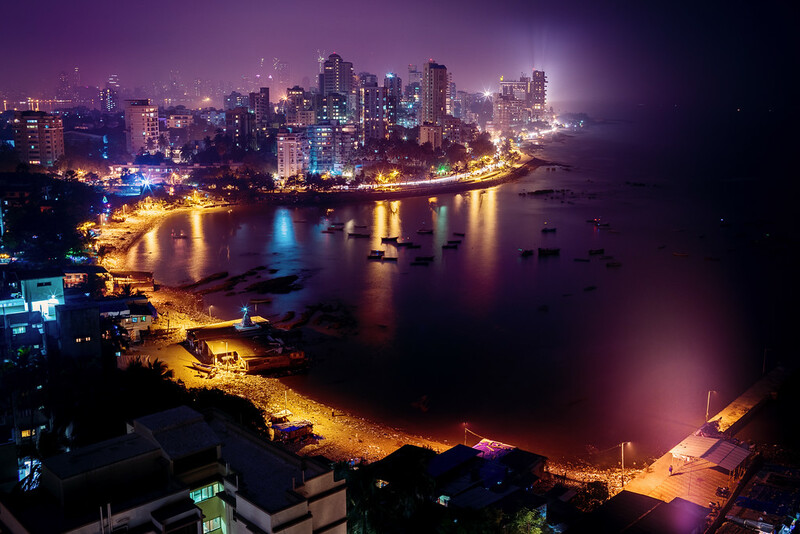 This is the view from the roof of my aunt and uncle’s home in Bandra, which is a suburb that has been described to me as the Tribeca of Mumbai. Well it’s also kind of the Beverly Hills of Mumbai because some of Bollywood’s leading movie stars live on the famous Bandstand road featured in these photos. It’s interesting to note that according to my uncle, the fishing village in the foreground of the top photo is older than the city around it. As a result, the fishing village has land ownership rights that predate the city and thus cannot be pushed out to make room for new condos. It’s so India to have a humble fishing village in the middle of one of the most expensive and high demand neighborhoods in the world! This is why I love India, I never know what is going to be right around the corner and I’m in a constant state of amazement as a result. Thank you to my amazing family in Mumbai for showing us such a wonderful time! Tips for photographers: Stay ready to shoot and don’t be lazy! Some of the best photos are made in a matter of a moment. Part of the reason I only took my Sony A7 to India and not my big heavy Canon 5D Mark III, is so I could always have my camera with me without it being too cumbersome or conspicuous for travel and street photography. On this night our family threw a fabulous dinner party so I didn’t do too much photography, I was busy eating and drinking. But when we went up to the roof for a drink the view overwhelmed my laziness and I went downstairs and grabbed my camera bag. I didn’t have a tripod so I propped the camera on the ledge of the roof using the camera strap under the camera to level it out and get the angles I wanted. I knew the wide angle shot with the fishing village in the foreground was going to be my favorite, but I had the 135mm on and made a quick image with it (the bottom photo) before switching to the 35mm for the top photo. Both of the exposures are 30 seconds taken with the Sony A7 and Canon L lenses. It took me about 5 minutes of shooting between drinks to make these two photos. I am always amazed at how quickly beautiful photos are made compared to how long it takes to find them sometimes. The afternoon these photos were taken we flew back to Mumbai from Goa. I thought Goa would be a very inspiring place for photography, but it turned out that Bandra would steal the show.